Subaru seeks to thrill at the Los Angeles Auto Show with the brand’s first plug-in hybrid, a gasoline-electric version of the Crosstrek subcompact crossover that arrives in U.S. dealerships by year end. The 2019 Crosstrek Hybrid gets exterior and interior design flourishes to distinguish it from its gasoline-powered stablemate, the brand’s No. 3 seller since 2014. The all-wheel-drive plug-in hybrid will also be the most powerful and fuel-efficient variant, according to Subaru. The drivetrain pairs a 2.0-liter direct-injection boxer engine and new continuously variable transmission with two electric motors and a lithium ion battery. The 148-hp setup achieves an electric-only driving range of 17 miles and can speed up to 65 mph in full electric mode. For a fuel economy rating of 90 MPGe, the Crosstrek shows remarkable promise while still delivering quicker 0 to 65 mph acceleration than the gasoline-powered counterpart. But after the Crosstrek Hybrid, Subaru plans to introduce another full electric in 2021. The Crosstrek Hybrid will start at $35,970, including shipping, about $8,000 more than the base Prius Prime, Toyota’s plug-in hybrid offering. The Crosstrek Hybrid is built on the company’s new Subaru Global Platform, which is designed to accommodate hybrid and full-electric powertrains. Blue headlight projector rings and silver metallic finish on the grille will make the Crosstrek Hybrid stand out from the standard Crosstrek. A lower front bumper and body cladding, as well as fog light accents, further convey the model’s electrified persona. Inside, the plug-in hybrid sports a new color scheme of high-contrast gray and navy blue. The leather seats, door panels and armrests are accented with blue stitching. Drivers using Subaru’s Starlink multimedia system can also access some special hybrid-only functions. The Crosstrek Hybrid’s system will allow them to remotely start the vehicle’s climate control. They can also use a remote battery charging timer to manage charging from afar. U.S. sales of the Crosstrek surged 40 percent to 122,464 vehicles through October. 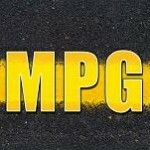 But executives expect the plug-in hybrid to be a niche model helping Subaru comply with new emissions mandates. Former global r&d chief Takeshi Tachimori said in January that Subaru expects to initially sell it only in states that have adopted California’s zero-emission vehicle regulations. Toyota’s trusty Corolla compact sedan enters its 12th generation on a new platform that promises a quieter, more agile ride and engines tuned for more power and better fuel efficiency. The Corolla must prove it can deliver more stability and power to Toyota Motor Sales’ U.S. car sales, which are down 11 percent this year through October. Underpinnings: The 2020 Corolla is built on the Toyota New Global Architecture, which underpins most of the brand’s car lineup, from the Prius to the full-size Avalon. Toyota says the vehicle incorporates new approaches to design, engineering, assembly and materials to reduce weight and improve fuel economy, safety and driving dynamics. Interior: The instrument panel, cowl, hood and beltline height are lower than on the previous version to increase visibility and create a more open feel in the cabin. The cockpit provides an interior space that surrounds the driver while offering a spacious environment for all passengers. Minimized gaps between buttons and switches, along with the elimination of unnecessary lettering on switchgear. Available ambient lighting illuminates the front door trim, console tray and front cupholder. The tray can hold small items such as a smartphone or wallet, or houses the optional Qi wireless device charging pad. Safety: The sedan comes standard with the Toyota Safety Sense 2.0 suite that includes a pre-collision alert and braking-assistance system, dynamic cruise control and lane-departure alert. Blind Spot Monitor is a standard or optional feature, depending on model grade. When an approaching vehicle is detected, the system is designed to alert the driver using indicators on the outside mirrors. Brake Hold is also a convenient technology that helps reduces driver workload while waiting at a traffic light or while driving in traffic. Powertrain: The L, LE and XLE trims carry over the 1.8-liter engine from the previous generation, but are tuned for more horsepower and fuel efficiency. The XSE and SE grades get a new 2.0-liter direct-injection inline four. Three-pronged attack: With help from a recently launched hatchback and a hybrid to be introduced this month at the Los Angeles Auto Show, Toyota seeks to shore up the nameplate’s U.S. sales, which are down 11 percent this year, dragging down overall U.S. sales. U.S. highway safety investigators are probing an alleged defect in 2.7 million pickups and SUVs built by General Motors that are getting into collisions due to braking issues. The National Highway Traffic Safety Administration opened an investigation on Tuesday of trucks and SUVs including GM’s best-selling Chevrolet Silverado after receiving over 100 complaints from consumers. The power brake vacuum pump in the models can degrade which makes it difficult to stop and avoid possible collisions. There have been at least nine crashes related to the problem and two serious injuries according to the NHTSA. The current investigation involves the 2014 to 2016 model year Chevy Silverado, Suburban and Tahoe; GMC Sierra and Yukon; and the Cadillac Escalade. GM has been monitoring field reports and other data on the vehicles and will cooperate with NHTSA to evaluate them further, said company spokesman Tom Wilkinson. The scale of Detroit automakers’ pickup sales follows that when there’s an issue with the trucks, recalls can be quite costly. GM’s rival Ford Motor Co. called back about 2 million F-150 pickups in September, and the North American safety campaign cost the company about $140 million. That recall involved faulty seat-belt pretensioners that sparked fires after crashes. Unfortunately, General Motors is not only having issues with its brake pumps. They are also recalling more than a million big pickup trucks and SUVs in the U.S. because the power-assisted steering is having issues as well. The power-assisted steering is briefly shut down at random and this puts drivers at a higher risk of having a collision. This recall covers certain 2015 Chevrolet Silverado, GMC Sierra 1500 pickups as well as Chevy Tahoe and Suburban SUVs. 2015 Cadillac Escalade and GMC Yukon SUVs are also under investigation. GM says the power steering may fail momentarily during a voltage drop and suddenly return, mainly during low-speed turns. The company didn’t mention any crashes in documents filed with the government. However, dealers will update the power steering software at no cost to owners but there has yet to be a set date for the recall to begin. Apple co-founder Steve Wozniak expressed last week that he doesn’t believe fully self-driving cars are possible in the near future. Wozniak told CNBC in a recent interview he hoped Apple would be first to launch a self-driving car, but now he feels that the industry is quite some time away from this capability. His sentiment towards this technology came after his ownership experience with Teslas. The Apple co-founder continuously upgraded his Tesla with hopes that the company’s Autopilot system would flourish into a genuinely hands-free driving system. Although Wozniak stated he still enjoys driving his Tesla, he also said the company has been making too many mistakes. For example, this March Tesla issued the largest recall in its history. This recall involved power-steering systems in 123,000 Model S sedans. Tesla stated the five bolts responsible for holding the power-steering motor in place could corrode, break, or come loose, which could result in the loss of power steering. The company tried to soften the blow by stating the problem was rare and most likely to happen in colder areas that use a specific kind of salt to lessen the amount of ice and snow on the road. Tesla also faced controversy over a fatal crash involving their Model X vehicle that crashed into a highway barrier in Mountain View, California. The Autopilot system was engaged during the accident and the victims wife said he had complained about the system not working properly near the area where the crash occurred. The company addressed statistics that indicate fatal accidents are 3.7 times less likely to happen in Tesla vehicles that have Autopilot than in other vehicles. However, this crash highlights the difficulties automakers face as the industry slowly shifts toward autonomous vehicles. Despite these incidents, Tesla claims it will begin to roll out its first chip to enable its Full Self Drive mode next year. Yet shortly after this announcement, the electric-car maker dropped the option from its online configurator claiming this option will be “off the menu” after it caused mass confusion for a week. The option has yet to return over a month later. Waymo, Google’s self-driving car affiliate, said its launching its first commercial autonomous-car service in the next two months. Waymo says the new service charges passengers for rides and businesses will pay to shuttle customers to their stores. The service will be available to small groups in roughly a 100 square mile area in Phoenix to start, but the plan is to expand to more people in the coming months. In it’s “early rider program,” Waymo has been operating a self-driving ride-hailing pilot for select residents in Chandler, Arizona for a number of months. The company plans to expand the driverless vehicles to a range of 600 square miles. Last December, Waymo was spun out for Google. The company was forced to explore several business plans to commercialize its self-driving technology, including ride sharing, trucking and logistics, public transportation, and licensing agreements with automakers. Waymo runs 100 Chrysler Pacificas with its self-driving technology as they have a partnership with Fiat. They plan to also expand with 500 electric Jaguars. Cars companies are increasing their efforts every year to improve the safety of their vehicles. Decades of safety-focused design have led to an increase in “thick A-pillars” which is the term used for pillars at the front of the car that hold up the roof. The B-pillars support the front and rear doors, and the C-pillars support the rear window. The purpose is to keep a car from collapsing if it should flip over. However, consumers are complaining these thicker pillars are making it more difficult to see pedestrians in the corners. “They do provide substantial safety benefits in a rollover,” says Zach Bolton- head of R&D at Continental. “But something must be done about visibility, he says. They’re typically several inches thick, plenty wide enough to hide a pedestrian or even a cyclist. Continental says an object 3 feet across is totally obscured when it’s 12 feet away from the car. Meanwhile, pedestrian deaths in the US are on the rise. Several companies are now saying they may make these pieces of metal transparent. Using cameras and high resolution screens, the pillars can be wrapped into a wide-screen. This makes it possible for the driver to see a pedestrian crossing the street as they make a turn. Continental has built a curving pillar with fish-eye cameras to fill the vision gap. However, it’s still being tested to see if it’s too distracting. In 2014, Land Rover showed a similar concept that projected the view from a forward-facing camera onto the lower part of the windshield. That made the whole hood look transparent, so the driver could get a good visual on what they’re running over, or the curb they’re trying to park against without scratching their alloys. Automakers have already expressed interest in adding the setup to their vehicles, all of them looking for the clearest vision. Auto-safety regulations in the United States launched an investigation into whether Mercedes-Benz has been too slow to disclose safety recalls and defects as well as to make repairs. The National Highway Traffic Safety Administration sent a letter to the top executives asking them to explain delays in notifying owners about safety defects and how they’re carrying out recalls. The letter claimed communications with regulators were missing details about repairs. Mercedes also did not provide enough data so that consumers could check for open recalls on the NHTSA website. “Repeated and lengthy disruptions of MBUSA’s service result in the motoring public not being able to access safety critical information about their MBUSA vehicles and/or confusion over whether a safety recall applies to their vehicle,” NHTSA’s Stephen Ridella wrote to R. Thomas Brunner, the senior manager of regulatory and government compliance at Mercedes-Benz USA. The NHTSA’s letter says the agency notified Mercedes in May that it failed to tell vehicle owners within the required 60 day time period about recalls affecting their vehicles. The agency is asking Mercedes to provide information about how it handled over 24 recalls in the past three years. In 2015, NHTSA fined Fiat Chrysler over $105 million in penalties, and Honda was fined over $70 million. Volkswagen is Europe’s largest auto maker by sales as reported in late October 2018. Tougher emissions regulations have been enforced in Europe, yet the company still made headway in the fiscal year. The company reaffirmed its profit and sales outlook for the year, driving company shares 5% higher in early trading. Volkswagen said net profit rose to 2.67 billion from 990 million in the same period a year ago. The trade dispute between China and the United States has dampened business and consumer confidence, and brought a significant market decline in the third quarter, according to Volkswagen’s finance chief. He stated that sales were also hit by the new emissions testing standard in Europe. The company still managed to increase sales in China during the first 9 months of the year, partially due to a rise in auto financing and lower taxes on purchases. Overall, Volkswagen sales for 4.1% world-wide to 7.6 million vehicles. The Volkswagen brand, the company’s largest business by revenue and sales, increased revenue in the first nine months of the year, but pretax earnings fell 7% to 2.3 billion. Audi, Volkswagen’s luxury brand and one of its main profit drivers, also posted a 7% decline in pretax earnings to 3.6 billion. Profit at Porsche, Volkswagen’s sports car brand, rose nearly 11% to 3.2 billion, while Bentley, the super luxury brand, continued to decrease, reporting a 137 million loss in the first nine months of the year. Volkswagen confirmed its 2018 guidance, forecasting sales to rise as much as 5% and operating return on sales between 6.5% and 7.5%. With ever-changing consumer tastes and uncertain trade tariffs, and increasing vehicle assembly levels, the time might be right to establish contract assembly operations in the United States. Automotive history shows that in the 1980’s, Cars & Concepts as well as American Specialty Cars provided niche convertible conversions of mass production vehicles. Some say this could be due to the contrast in the assembly business model. The economics and labor dynamics – at least for the convertibles – drove the production back to the main assembly plants. Many have reacted to Volkswagen’s announcement to end the production of the VW Beetle and Ford’s announcement not to import the Focus Active from China into the United States. In the grand scheme of a 17-million-unit sales market, some would make an argument that at a dealership- and manufacturer-level, the ability to offer a niche-volume product, in the case of the Beetle, or flexibility to import product from global assembly operations, with the Ford Focus Active, matters. Niche vehicles such as the Beetle drive brand loyalty with unique styles for first-time buyers before moving into exile. For those families having the luxury to own more than that one practical vehicle in the garage, a halo vehicle offers a fun vehicle to drive and be seen in. 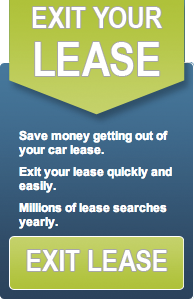 Both situations drive dealer showroom traffic. Ford dealers lost an entry-level vehicle to tariffs. There will be other options on the new vehicle side with aggressive financing packages or on the used vehicle side – that will offer utility at an affordable price. However, it will be one less option for the consumer and for Ford to balance out its global manufacturing operations by exporting vehicles from one region to another. Considering these two examples, there might be an emerging case for contract assembly in North America, as Magna Steyr – as an example – offers in Europe and Asia. Unique body styles and price points have stayed in a manufacturers’ product portfolio. Also, with the U.S. – Mexico – Canada Agreement incentivizing greater powertrain localization, there might be a case for localizing the production of a small volume nameplate in a contract assembler that would use that last incremental engine or transmission output needed to justify building a North American engine or transmission plant module. With the U.S. market becoming more fractionalized in vehicle nameplate sales and with greater uncertainty over the ability to import and export vehicles and components between regions, the time may be right to re-test the business case for contract vehicle assembly. 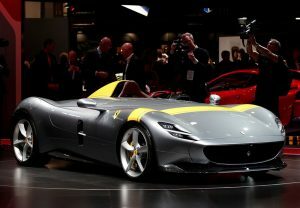 Ferrari debuted two new models at the Paris Motor Show, one of which does not have a windshield. The models are both modern with carbon fiber skin and the fastest V-12 engine Ferrari has ever offered. One of which is capable of hitting 125 miles an hour in under 8 seconds. The two models are part of a new operation the Italian automakers is launching, and it will focus on bringing back the classic design concepts found in the past. 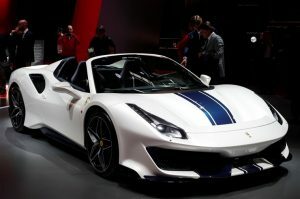 It’s part of the new strategy Ferrari has launched since the company went public in 2015, adding a variety of new models to help boost demand. The cars will be exclusive, with plans to build only 499 models. Ferrari will only sell these to their best customers and collectors, meaning it’s by invitation only. The two models are almost identical, while one version only holds one passenger and the other may hold two. The models are unique in the fact that is neither have a windscreen. Instead, the cars rely on a concept called “Virtual Wind Shield” which uses aerodynamic tricks to route air around occupants. Though modeled after classic race cars, Ferrari claims the SP1 and SP2 will be street legal. It remains uncertain if the cars, sans windshields, will be approved by U.S. regulators, however. They might require some modifications, or the use of helmets. Speculation is that the vehicle will run between $2 million and $3 million dollars.